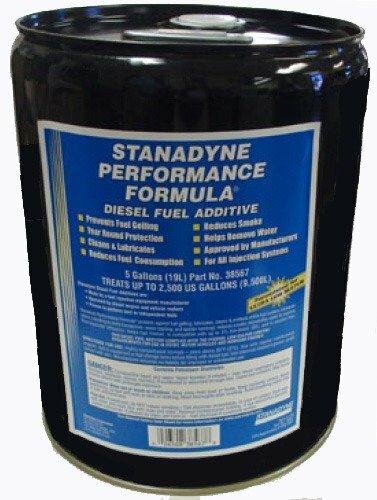 Stanadyne Performance Formula 5 Gallon Pail Treats 2,500 gallons diesel fuel per Pail Note: All Stanadyne Diesel Fuel Additives can be blended with each other and "double-dosing" is not damaging - although it may not provide twice the benefit. Where engine and vehicle OEMs have approved Stanadyne, most of them recommend Performance Formula, which should be used year-round to ensure protection against fuel related problems. The premium, all-season, all purpose diesel fuel additive, designed to tackle virtually any diesel fuel related problem. If you have any questions about this product by Stanadyne, contact us by completing and submitting the form below. If you are looking for a specif part number, please include it with your message.